Our PowerPoint Add-In allows presenters to embed Poll results and Audience Q&A directly into a PowerPoint presentation, making it easier than ever to project results on the big screen. Direct integration with PowerPoint is great, but it’s just the start of our work to tie Conferences i/o Polling and Audience Q&A into presentation software. We will soon be adding a version for Mac users, so if you’re running presentations on Mac PowerPoint or Mac Keynote, your time is coming soon. In celebration of this release, let’s take a moment to look back at the steps it took to get here. The first solution we introduced was Presentation Mode which allows you to display Polling results in Full Screen format so that they look great on stage and also makes it very easy to transition from Poll to Poll. The concept was that a presenter would simultaneously run Conferences i/o and PowerPoint and simply toggle between their slides and the internet browser by using a Keyboard shortcut (alt + tab) when they want to display Poll results. This was a crucial first step for us and satisfied item #1 on the Presenter’s Perfect World list. In fact, Presentation Mode is a perfect solution for Keynote / General Sessions when there is an A/V person in the room to control what is displayed on stage. Most presenters do not have a separate A/V person in the room to help them and while it may sound easy, not every presenter is comfortable with this method. It disrupts their flow, if only for a moment, and also requires them to be near the computer being projected from, which is not always an option. The next improvement we added was the ability for a speaker to upload their slides into our application, embed their Polls, and project the entire presentation from Conferences i/o. As a bonus we even added a “slide sync” option that allows attendees to follow along with the presenter’s slides right on their device. This was another step in the right direction and is still popular with many presenters today. It allows presenters to seamlessly transition between slides and Polls without any interruption to the flow and the “slide sync” feature is definitely a crowd-pleaser. We learned that presenters are constantly making small changes / tweaks to their presentation. Sometimes minutes before they go on stage. This proved to be a major barrier for us with many presenters. Making last second changes is not a big deal when all you need to do is hit “save” in PPT but it’s a different story when you are required to export and re-upload slides… even if the process only takes a few minutes. 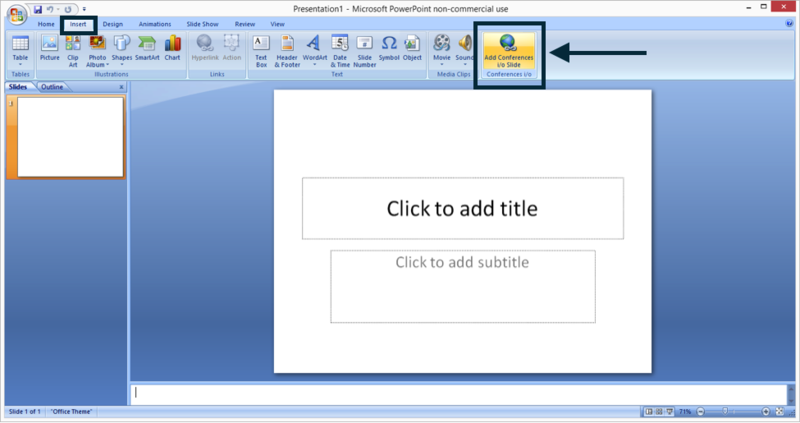 The Conferences i/o Add-In for Windows PowerPoint is another HUGE step forward. 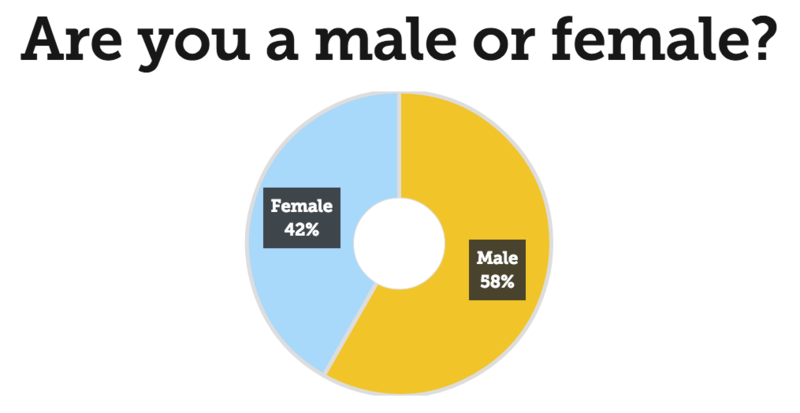 It is a simple answer to the question of “How Do I Get Poll Results to Display on The Big Screen”. The PowerPoint Add-In even includes some new features like the ability to play music while the Polls are being conducted, and an automated Slide Timer, which allows you to specify an amount of time that passes after a Poll is open before the results are displayed. While the Add-in satisfies nearly every criteria on the Presenter’s Perfect World list we still have room for improvement. We’re excited about the integration but we’re not taking our foot off of the gas pedal. We will continue to look for ways to make the process even easier and welcome your feedback and suggestions.